Back in 2016, Calvin Harris and Taylor Swift were the celebrity couple. The two shared cute snaps on Instagram and gushed about each other in interviews. This all came to an end though when the two split in June 2016 and things got messy, fast. A month following the break up it emerged that Swift had secretly co-written Harris’ massive hit single 'This Is What You Came For'. 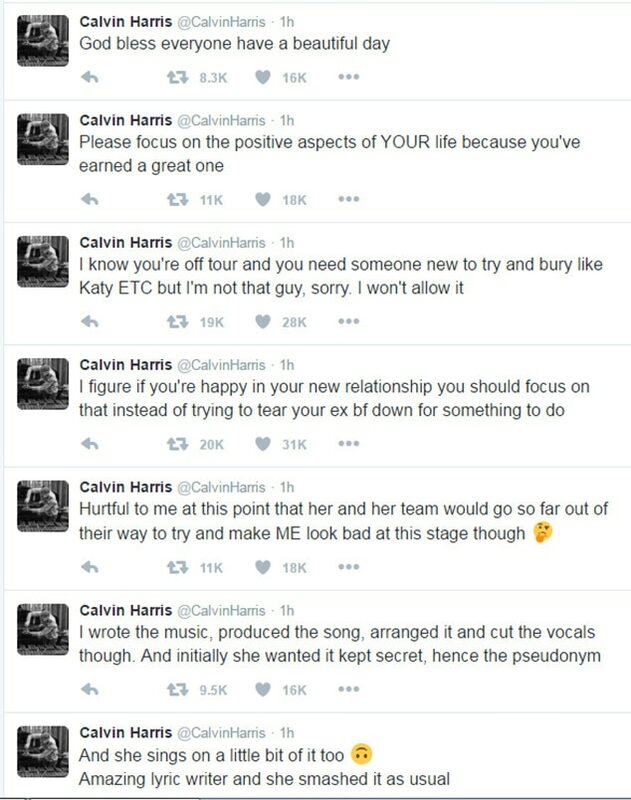 This led Calvin to take to Twitter to lash out at Taylor, suggesting her team had leaked the information in an attempt to discredit his musical talents. A year on, Calvin has admitted he shouldn't have reacted the way he did, telling GQ, “It was completely the wrong instinct. I was protecting what I see as my one talent in the world being belittled. It felt like things were piling on top of me and that was when I snapped,” he said. Reflecting on the incident in GQ, Harris said he regretted adding fuel to the tabloid fire.